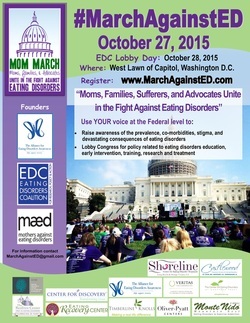 Thrilled to Announce second March Against Eating Disorders on October 27, 2015 in Washington DC & Canada was a huge success! 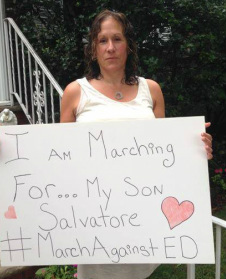 We will continue to UNITE our voices and deliver a powerful message TOGETHER as we plan the next #MarchAgainstED. 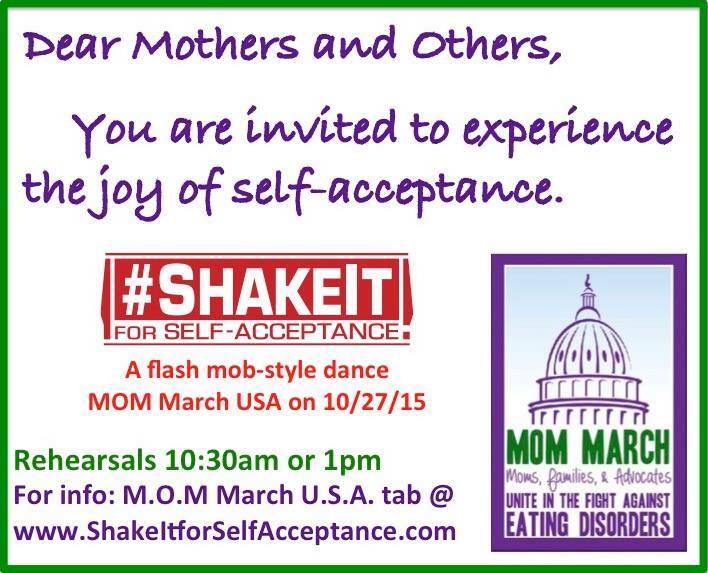 #‎ShakeIt‬ for Self-Acceptance!™ will be a guest at the MOM "Mothers & Others" March in Washington, DC, on October 27th. Rehearsals: 10:30am and/or 1pm. Let's honor. Let's share. Let's dance!. 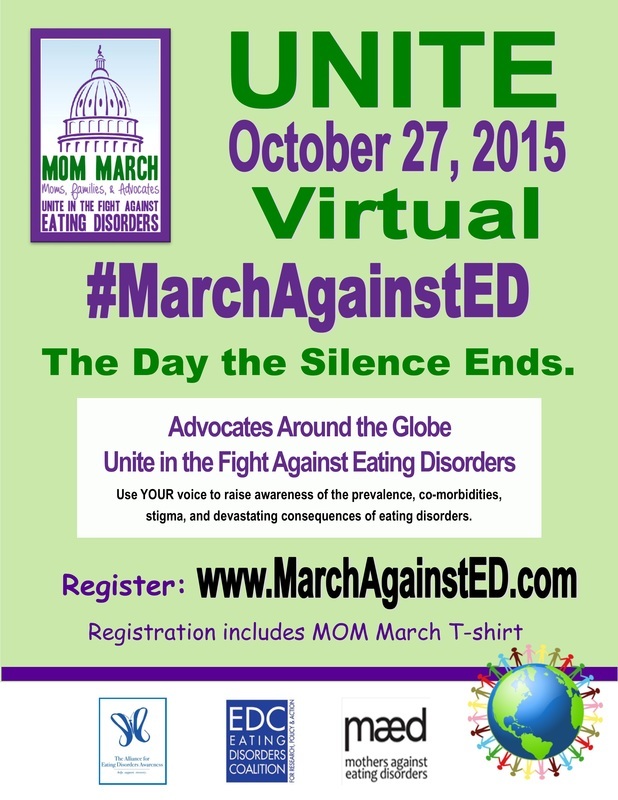 We are thrilled to invite advocates around the world to #MarchAgainstED with us virtually in Spring of 2017. Eating disorders are a GLOBAL issue. Let's UNITE and end the silence. Advocates in USA & Canada you can register online. Registration includes an official MOM March t-shirt. Watch this space for registration for 2017! If you are interested in being part of the change and planning of the next #MarchAgainstED please email Marchaginsted@gmail.com! We were thrilled to have NBC cover the first #MarchAgainstED which aired on news segments all over the country! Moms, families, sufferers, and advocates can make a difference! Join us October 27 in Washington DC and use YOUR voice! We are THRILLED to announce that we will lobby on Capitol Hill on October 28, 2015 with the Eating Disorders Coalition (EDC) for #AnnasLaw - Training, Treatment, and Truth in Advertising. Important for your legislators to hear YOUR voice. You can be part of the change.